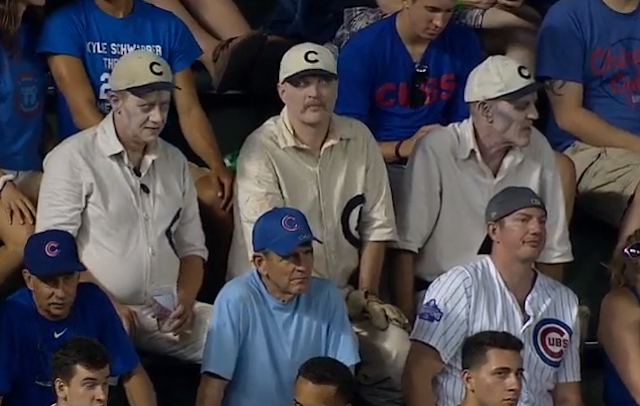 A group of three Chicago Cubs fans sat in the bleachers of Wrigley Field dressed as old-time zombie Cubs players during Sunday night's game against Washington. Not sure what inspired the look, but the effort that went into this is very impressive. If anyone has any background on these guys, please let us know.